Do you like Coffeeshop 137? Please think of it as public service announcement. Do you realize how much time and energy you can save by perusing a few menus before you go? As far as link parity, every page of Whos In Town has 28 to 31 links back to ACD. Anyone that contributes a menu can request a link in the credit and that can be to any site including ACD. If it bothers you all that much, if you see a new post by me in a coffeeshop review thread, it is probably a new menu, don't read it. The menus can come one at a time or an entire trips worth. One at a time just generates one post, a dozen from a trip will generate a dozen posts, which I admit looks spamish but each post does have a different new menu. I have even started including the menu in the post so there is no need for you to click a link to benefit from the new menu. One man's spam is another man's valuable resource, it is all in YOUR mindset. Jail for growing a plant laughed the gypsy! Maroc Kush hash (10€/g) - Smelled and looked pretty nice at first... but I noticed that it doesn´t bubble when touched by the flame which is usually not a good sign. Well it smelled pretty good but it was really not so potent... gives a light high effect but the taste was not bad Overall to expensive for the quality. New menu for 137 dated March 12, 2018. Thanks to djreign. Respect. FlyByNite doing lord's work & Blessing us with fresh menus. 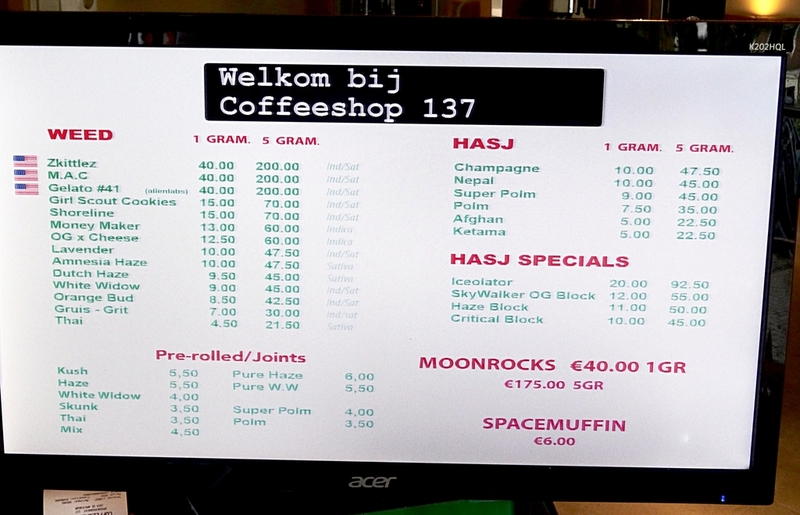 Anyone try the jelly hash from here? Interested in trying it. Neutral decor and very friendly service by Dutch standard's..
Smallish menu and most tubs did not have a lot of nose and nothing really stood out at all. Nothing purchased but will have a look again sometime. It is one of the most potent types of hash available in the market today. Jelly hash is made of a combination of potent bubble hash and high-quality hash or honey oil. The recommended proportions contain eight parts hash and one part cannabis oil (hash oil) usually extracted with butane. Patients with chronic pain, cancer or going through chemotherapy effects are advised to consume jelly hash due to its high potency levels. It’s also effective in reducing nausea.